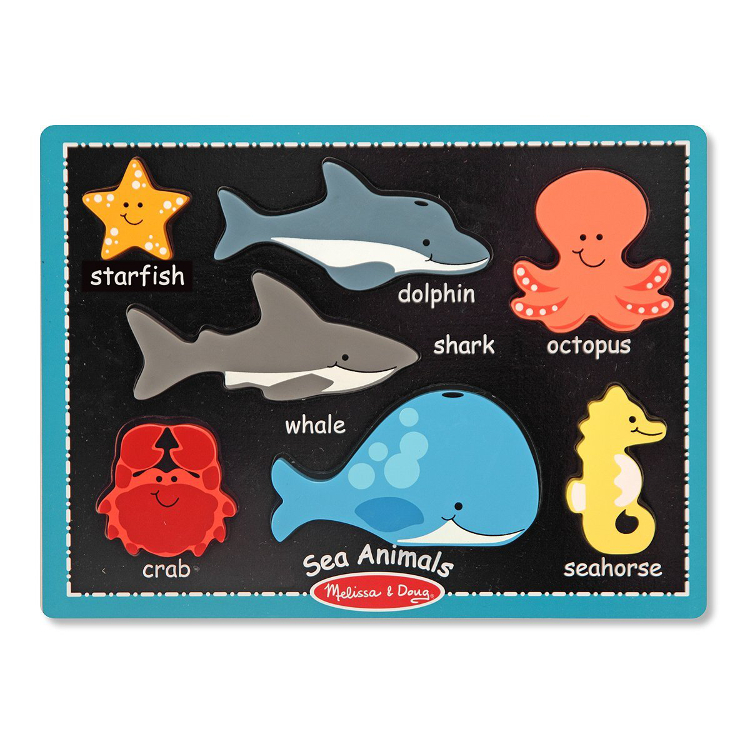 No need to hold your breath when you dive into fun with this ocean full of chunky sea creatures! Seven extra-thick pieces can stand upright for hours of creative undersea adventures. The full-color pictures on the board make matching easy and fun.